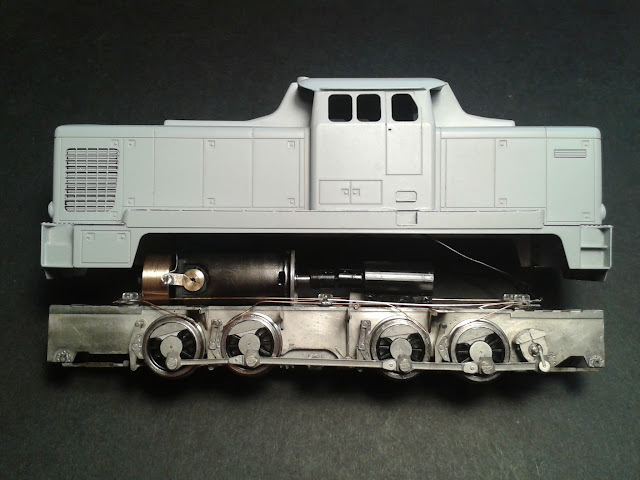 The chassis kit is designed for the etched locomotive body from Mr. Cekul. It can be used for other etched bodies and resin castings as well. 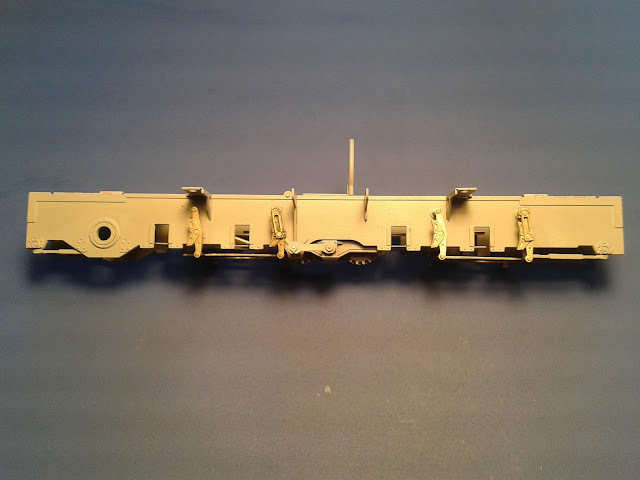 The kit contains all components for a operational chassis. 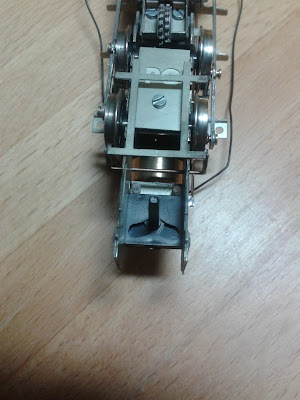 The motor is conected to the third axle through a plastic body NWSL gearbox. 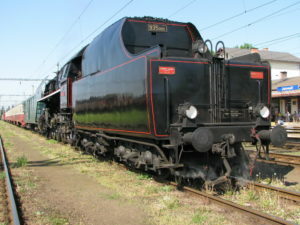 The rest of the axles are driven via the coupling rods. 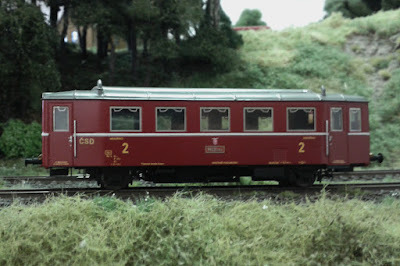 The axles are equalised by beams to ensure perfect contack of all wheels with the rails. Experience with etchings and fine mechanics is needed for the assembly of the kit. Please, see the assembly instructions with pictures or instructions for other kits. Assembly instructions are available in German language. Nickel-silver etching of chassis components. 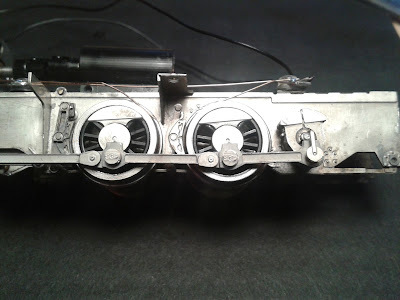 NWSL gearbox with plastic body. Steel / plastic / brass gears. 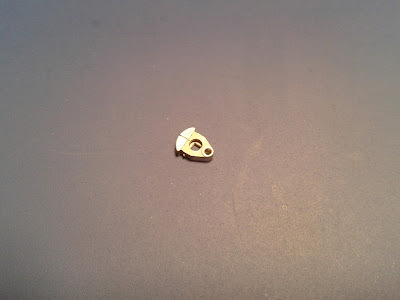 Scalelink driving wheels of 13 mm diameter and 12 spokes - RP25. Dogbone style UJ from NWSL. 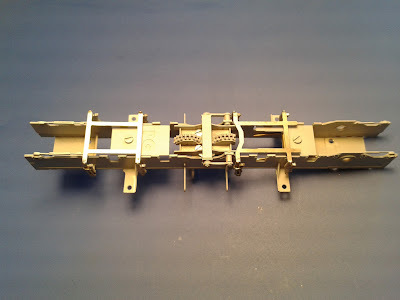 Bronze beam, plastic screws and washers for the electric pick-up. 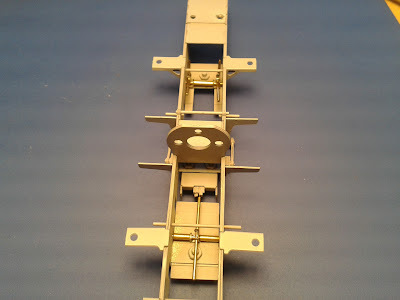 Brass bushes for the axle with cranks. Brass tubes and rod for the frame construction. PCB for NEM652 decoder connector. The frame is built from 0.4 mm etched nickel-silver brass. 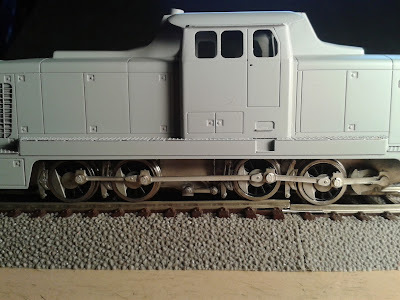 The axles are placed in slots in the frame and suspended by beams. The driving axle cranks are made from the etchings. The chassis is drive by Mashima 16/26 motor. Maxon 17/24 can be used without modifications. 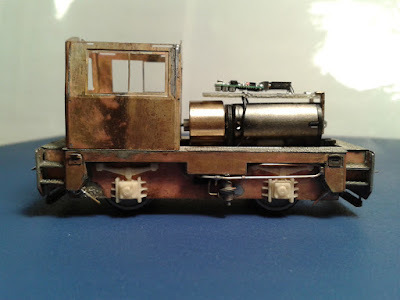 All wheels are fitted with electric pickup made from 0.3 mm bronze beams. Demonstration of the chassis suspensions on a video. SYMOBA KKK can be used.